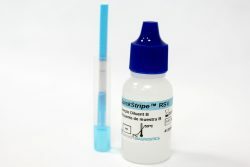 The QuickStripeTM Strep A is a rapid chromatographic immunoassay for the qualitative detection of Strep A antigen from throat swab specimens to aid in the diagnosis of Group A Streptococcal infection. 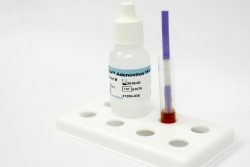  The QuickStripe Strep A is a rapid test to qualitatively detect the presence of Strep A antigen in throat swab specimens, providing results within 5 minutes. 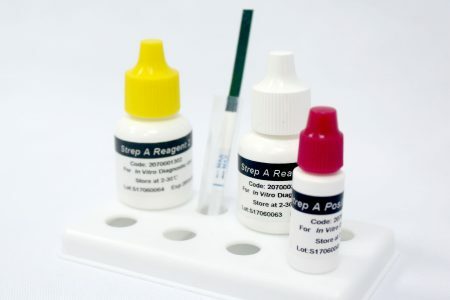 The test utilizes antibodies specific for whole cell Lancefield Group A Streptococcus to selectively detect Strep A antigen in a throat swab specimen.